Thanks to everyone who came down and all those who contributed to a great night on Saturday!! 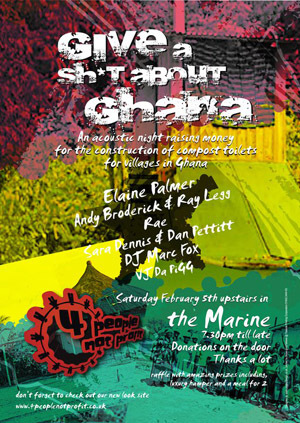 It was fantastic and we raised 865 quid for toilet building shenanigans in ghana!!! Thank you to everyone for continuing to support what we do and allow these nights to keep happening!! 4 people not profit love you all! !